This month I took an honest look at my TBR pile and decided which of the books in there need to be given to a better home. I have a lot of books that I had every intention of reading, but have languished in this pile for far too long. I’ve decided to gift some to people in the hopes that my pile with shrink, instead of just providing more space for newer acquisitions. I know… it’s a pipe dream. 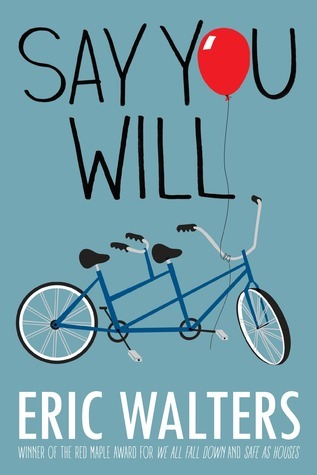 Say You Will by Eric Walters – This is the first Eric Walters book I have read, even though I own another book by him as well. I just thought that the idea of a book about promposals was a really cute idea. Sam is a genius, but struggles with social interaction. After witnessing the elaborate spectacle that one student makes to ask a girl to prom, he decides to stage his own promposal for a girl he likes. He enlists the help of his two best friends, but everyone is afraid that the girl in question might not accept his offer. 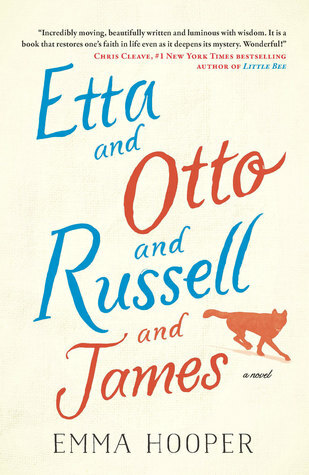 Etta and Otto and Russell and James by Emma Hooper – I really enjoyed this book because I had no idea what I was going to read next. Maybe it’s a new trend in my reading habits, but I find books with easy to discern plots practically unreadable. At first this read very similar to other books about older people going on walks to find themselves, but as Etta’s memories begin to fade in and out like the tides, the story takes on a magical aspect that intrigued and delighted me. I needed to know what was going to happen to these characters, for better or for worse. 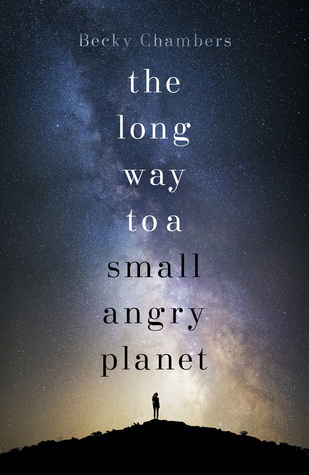 A Long Way To A Small, Angry Planet by Becky Chambers – One of my fellow book bloggers mentioned this and I knew I needed to read it. This book is full of amazingly diverse characters, interesting intergalactic politics, and some absolutely heartrending romances. This is one of those books that I could see becoming a TV series and would eagerly watch if given the chance. 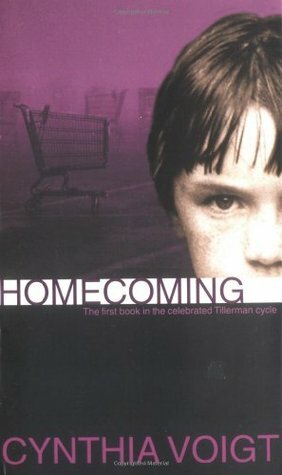 Homecoming by Cynthia Voigt – I mentioned this author a few weeks ago in a post and I got a bit nostalgic thinking about how much these books meant to me as a young adult. Dicey and her younger siblings are left alone in the parking lot of a mall, unsure when or if their mother is going to come back. She hasn’t been well, and the kids know that she might not know how to find her way back to them. Dicey knows that if the authorities learn about their situation that they might not be kept together, so she has to use every bit of her intelligence and courage to avoid detection. With no money and only a vague idea of where they might find the aunt their mother used to write to, the Tillerman children set out on a journey to find somewhere to call home. 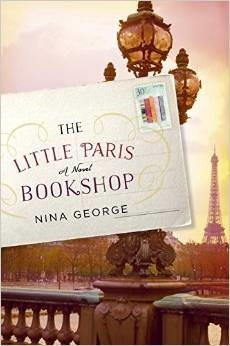 The Little Paris Bookshop by Nine George – This book was totally written for me. The main character has a boat called the Literary Apothecary! How awesome is that?! Jean Perdue has been keeping himself walled off from the world after the loss of someone very dear to him. His floating bookstore (a converted barge) is where people go to find the perfect book for the ailments that they didn’t even realize they had. When his new neighbour finds an unopened letter in the table he gave her, events from his past that he spent decades trying to forget come flooding back. 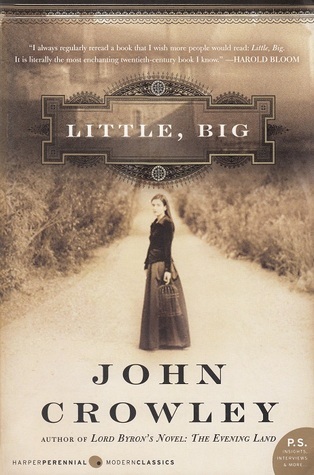 Little, Big by John Crowley – I’ve had this book in my TBR pile for a while now, and have attempted to read it a few times. Suddenly I knew that it was time to give it another try. The pieces of the story that didn’t really make sense to me before are fitting together, which is making this a much more enjoyable read. There are fantastic elements, but I’m reading it with a more realistic viewpoint and am actually getting more out of it. Is Everyone Hanging Out Without Me? by Mindy Kaling – At this rate I will never finish this book. Maybe I’ll just borrow it and read it on my own, because this whole audiobook thing isn’t working for me. So what books did you read in August? Did you add a bunch to your TBR pile, or were you more conservative like I was this month? I love reading your book reviews!! I often find myself wanting to read more and more of the books you recommend and review. I have nominated you for the Liebster Award, if you choose to accept then I look forward to reading your post.